Feluccas are the traditional sailboats of Egypt Nile. Egyptians and foreigners alike enjoy a relaxing felucca ride, as they are perfect for catching the breeze on a hot summer night, for brisker sails the rest of the year and watching the sunset anytime. They are ideal for an impromptu party after work, a romantic evening, and for soothing the tots on the weekends. It is not unusual for friends to get together and rent a felucca for an hour or two for a small social gathering. Such gatherings, frequently after sunset, may not do much sailing at all, but simply sit in a quiet cove where everyone can enjoy the lights on the banks and the river traffic. 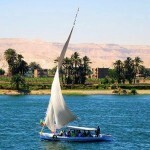 The felucca has remained, over the centuries, the primary transportation of the Nile. Its ancient form still graces the river as it has done since the time of the Pharaohs. Motorized barges transport bulk material and modern cruise ships transport tourists, but the felucca remains despite modern alternatives. The felucca rarely has any form of engine and relies entirely on the breeze which builds during the day and usually subsides at night, and the Nile River’s current. Egypt is blessed with a predominant southerly wind that pushes sailboats upriver, while allowing them to return on its current downstream. Some of the craft today are used to carry tourists who wish to enjoy an eternally peaceful journey carried along by the gentle breeze and the currents of the river. 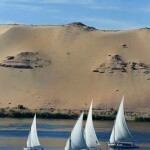 In fact, a felucca ride is very often included in many standard tours. Some feluccas even carry passengers for longer voyages of several days, but only the most adventurous tourists usually take part in these, as the accommodations are rather primitive. Few feluccas are now made entirely of wood, but the basic layout has barely changed. They don’t have a keel as such, but a heavy center plate which can be raised in the shallows. The sails are seriously low tech affairs made of native cotton and other natural fibers. Feluccas are usually furnished with cushions around the circumference and a table fixed in the middle; where one can surely enjoy picnic style lunch or dinner while enjoying a different view of the metropolis. Your captain tucks his Galabeya (tradition Egyptian male dress) about his waist and steers with his feet, while busily drawing and letting the sail to and fro as the vessel tacks up and down the Nile. What the budget of this Tour? Dear Clients please knows that the tour price cover the services stated in the “Inclusions” section only of this page and there are many other personal expenses which will occur during your trip are not included in the Tour prices. The Tour run minimum of two persons in case of Single Traveler it will be a different rate, for that case there will be a supplement of 50 US Dollars. 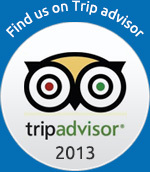 Prices are quoted in US Dollars per person per Tour Package and valid year around. 8 US$ x 2 Nights x 2 Person = 32 US$.